Join Us This September 28th – 29th at any of our European Military AutoSource Off Base locations to receive the best possible price for your trade-in and a great deal on a new vehicle! Visit us at any off-base location in Europe for an on-site appraisal of your trade-in. 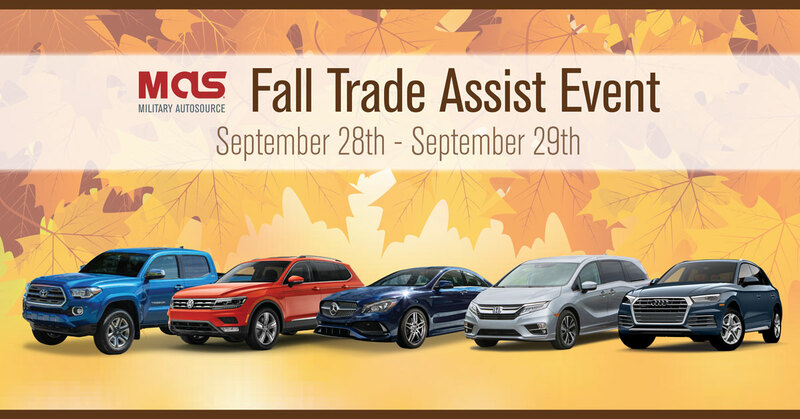 Click here to learn more about our Fall Trade Assist Event or to be contacted by a product specialist.